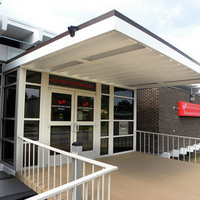 The Reisterstown Road Branch is in Northwest Baltimore city, adjacent to the Fordleigh community. It is just down the street from the Reisterstown Road Plaza, and down the road from Interstate 695. Use your imagination to create perler bead art. I truly enjoyed this interactive presentation on the relationship between food and mood! As Americans struggle to cope with increasingly stressful, busy lives along with problematic food and healthcare systems, it's imperative that we learn and understand what we can do as individuals, families, and communities to foster optimal health and wellness. After all, health is wealth! Anna utilized her Master's degree in nutrition and integrative health to share timely, relevant, useful knowledge supported by science for anyone looking to better understand how what we eat, when we eat, and how we eat impacts our mood and what we can do to improve our mood through nutrition. I highly recommend Enoch Pratt bring back Anna Bakshi for more of this and other nutrition-based topics in its educational programming in the evenings! I'd even love to see hands-on workshops on the weeknds. The information provided was very informative and easy to understanding. She did a great job of including the participants in the discussion and making it relevant. Didn't go because it was for children and teens not adults. Loved it. It is so calming and the instructor is very good. It was great. Looking forward to doing it every Thursday. Had a wonderful time channeling my inner Afro child in our Mother's Day painting. With different skill levels, every song created a mother and child memento. I had a great time at paint night. The artist was great, and staff was very inviting. It was fun. My kids loved it and I had fun joining in.